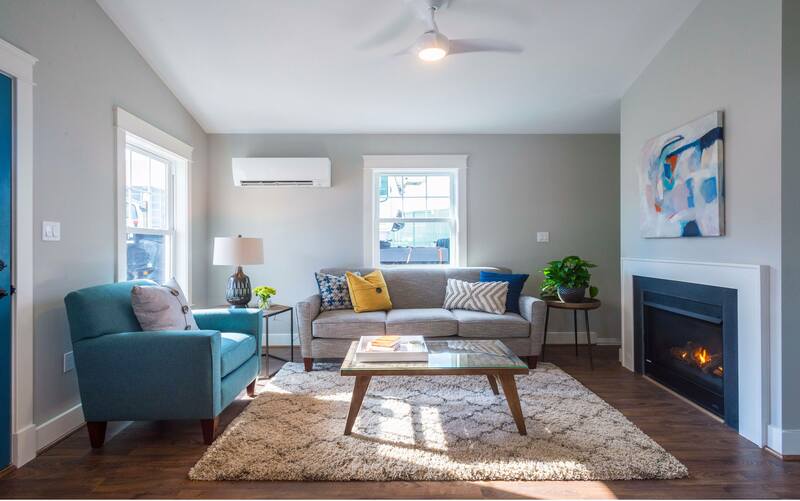 Measuring about 600 square feet in size, the tiny cottage may be a solution for affordable housing for fixed-income seniors. These homes let them stay close to family — even in their family’s backyard! This type of small design also has potential for individuals and couples of any age, along with nannies and returning college students. I recently worked with the Frederick County Housing Trust as the project’s interior decorator. The project was a collaboration among the trust, the Frederick County Career and Technology Center, Frederick County Building Industry Association and Lancaster Craftsmen Builders. One of the key benefits of this project was to show a dwelling for seniors to age in place. 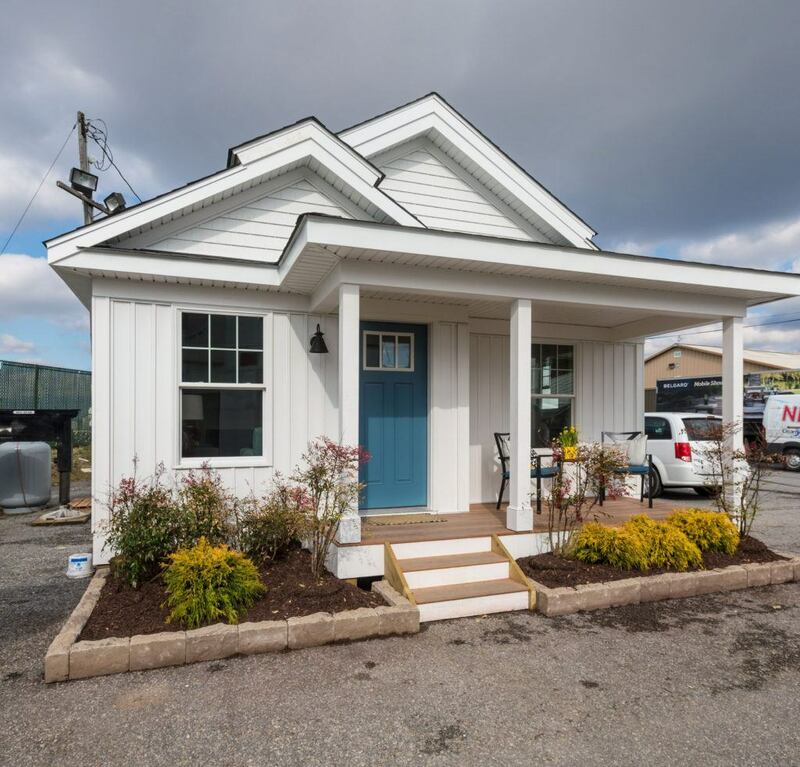 The tiny house is a lifestyle alternative that would require less maintenance while keeping seniors close to their families and maintaining their independence. The other driving force was to shine a light on the the next generation of skilled craftspeople. High school students at the Frederick County Career and Technology Center were involved in all phases of this project as part of their education. Students in programs for carpentry, electrical, HVAC, plumbing, masonry, landscaping and cabinetmaking. These careers are ideal for people who love to work with their hands, to create and to problem solve. You would think that a home this small would have to skimp on luxury or would feel cramped, but it doesn’t. Thirteen-foot ceilings in the living and bedroom and a light color palette give it an airy feel, and streamlined furniture with clean lines makes the most of the space. I was able to use full-size stainless steel appliances, which creates the feeling of a typical home. The design of this “backyard bungalow” also incorporates a walk-in closet and built-in shelving around a full-size gas fireplace. Craftsman details throughout make this more than a “basic” dwelling. Eventually I realized that I was designing a place where I’d like to live! The furniture and accessories I chose were a compatible mix of styles and eras, the way someone who is downsizing to smaller home would. Owners typically select their most treasured items to bring into their new space. It can be challenging to make these eclectic pieces complement one another, and that’s where an interior designer can really help. 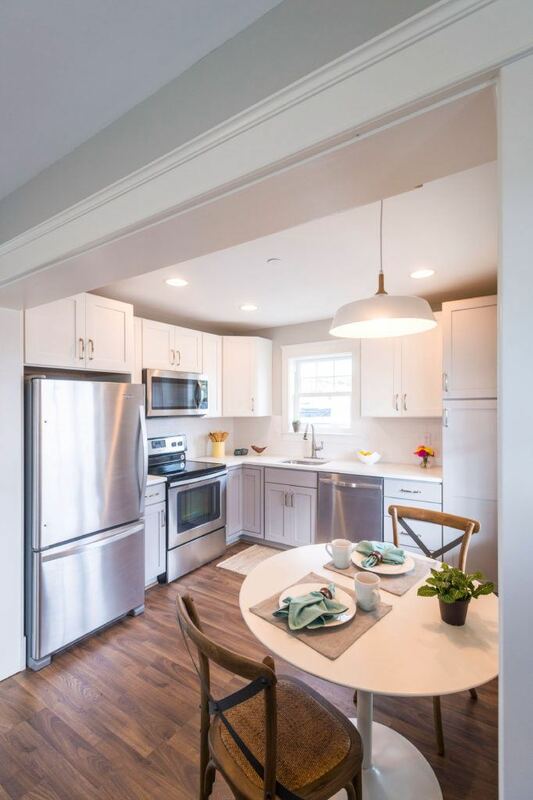 In this case, I pulled from craftsman and mid-century modern inspirations, and added some traditional pieces and contemporary lighting fixtures. I selected white for the exterior of the home to keep it from detracting from a main home, and I recommend coordinating the door color and roof with the main home. Landscaping and hardscaping can bring it all together as a single setting. Creating warm and inviting spaces for clients throughout Central Maryland. Including Bethesda, Cabin John, Chevy Chase, Clarksville, Frederick, Glenelg, and Potomac. Because happiness starts at home.